FF Wallpaper for Your PC….!! Fancy Flying Fifteen as your screen wallpaper? Where to Buy or Sell a Flying Fifteen….?? Where’s best to buy or sell your Flying Fifteen?? Philip Tinsley just pointed me at Apollo Duck’s website where there were a good half dozen boats, including a fabulous ex-world champion boat from Ireland. Apparently the deal there is that you get posted on the website free for 90 days, and then you pay £6-£7, I think. Am not sure if that includes photos or not. To advertise on our Association website costs a fiver – photos free. Surely the issue for a seller is not actually how much an advert costs, but rather how many people look at the advert?? Once you realise that, you’d only ever post adverts on the FF Association website. The website traffic to the for sale pages is simply stunning. Since we launched the fabulous new website, we have consistently had around 6,000 page views per month to the ‘For Sale’ section of the website (around 20,000 views a month to the whole site). A whole number of the adverts have been read more than 100 times in 30 days. So, if you are selling a Flying Fifteen, why on earth would you put it anywhere else?? That includes our friends in Ireland who might want to try their chances here. Plus I think you can pay online by credit card now. It would be good to get time to see what might make some ads more popular to visit than others. Photos maybe?? I must say, the most obvious thing is asking price!! Click here to see the ‘For Sale’ statistics from the BIFFA Website for 30 days to Nov 14th. See for yourself! Over the years, at our Club the most popular weather application on the internet was Windguru. Our commodore recently put the word around that windguru gives data 24 hours out of date, unless you are a paid subscriber. Interesting….. So the people that know things at Datchet suggested that XC Weather displayed up to date information, and was better. So mostly, as you do, we all started using both…. The recently I downloaded the new free BBC Weather App to my phone. I have a feeling that is very up to date, and terribly clear and well presented. Anyone else got any hot tips for good weather apps?? Does your Club award any of those “half hull” trophies for Flying Fifteen racing?? You know, the ones that have a really nice replica of the FF shape mounted on a plaque. I tried pricing them up recently and they’re pretty expensive actually. Now the Aussies have come up with a whole new idea of “Half Hulls” – click to read this !! Flying Fifteen Portsmouth Yardstick Down Again…!! Now it wasn’t that long ago that the Open Fleet FFs raced under a yardstick of 1025…. then it fell to 1023. You may have seen a couple of days ago on the FF Blog, that Chew Valley are racing their Fifteens at 1009 … so all this caused me to check the current PY number at the RYA – and it’s down to 1022 !!! FF Sails – Who Buys Them All?…. It’s quite hard getting to the bottom of “how big is the UK FF Fleet” – as we have a large legacy of older boats, especially from the boom building years of the 1970s and early 80s….many of which are unsailed or idle. We were having supper with Charles in the autumn, and he came up with the mildly surprising news that Steve Goacher had said that 80% of the FF sails he makes are for Open Fleet Boats. I suppose I was a bit surprised. I guess that P&B would say the same of course. Sail wear and replacement must tell us something about how much Flying Fifteen sailing is going on – and in what boats?? …I’m wondering what this tells us about FF sailing in UK?? – so in which case instead of the ratio being 80/20, the ratio of boats sailing might be 80/40. Now that seems a bit more like it to me. 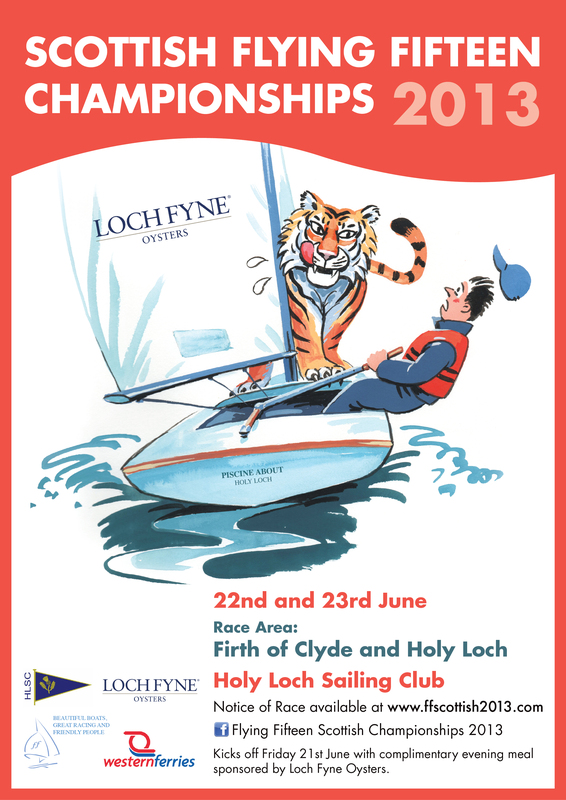 – we have around 300 Open Fleet boats racing regularly in UK, so perhaps the 80/40 ratio suggests that we have around 150 Silver/Classic boats racing regularly. Maybe stretch that number up to 200 as they might not sail quite as regularly? Hmmm – might be a reasonable guess…. 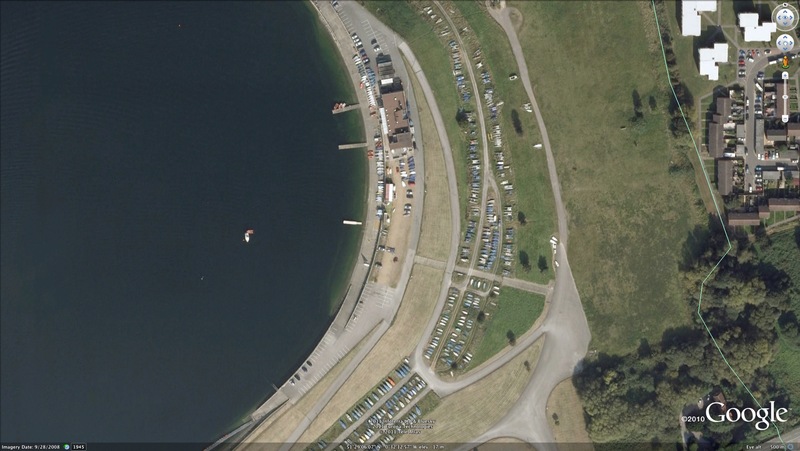 In the census we found 670 boats in the UK boat parks in August. So that might suggest that we have around 170 boats just lying idle and slowly going derelict… In our Fleet we have a few and I suspect we are just average. There could just be something like 170 unsailed boats out there. It feels a bit high….. Many Club Secretaries reported significant numbers of unsailed, little sailed or derelict boats? What do you think from what you see at your Club? 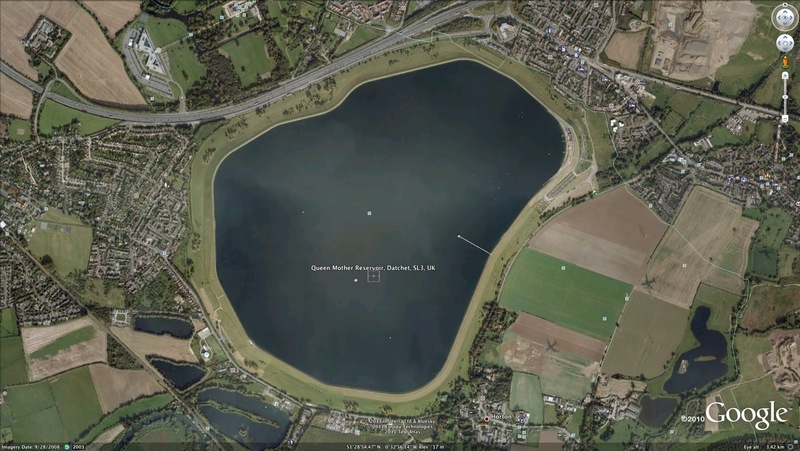 This would leave us with about 500 boats actually sailable and racing to varying degrees…. How many viable fleets could you get out of 500 boats – 30 maybe, at around 15-20 boats per Fleet…… Hmmm…. How do you think of your FF ??? Have you seen the cars with the little stickers on the back? Usually BMW saloons with the outline of the Nurburgring – what is this all about? Versatility that’s what, on Monday picking up the shopping and on a weekend a circuit racer. Don’t you think there’s a similarity with the FF – last year I was racing in national and regional events, full blown hard work racing, but; last year loaded with food and drink, she also served as a platform for my children to sail optimists from whilst they explored the further reaches of the lake. She also took me exploring in the Lake District, joy riding 3 adults at a charity function and anchored up, served as my Sunday grandstand to watch the racing up close. Finally over the last few years she has provided a safe environment to sail with my young children then aged six and nine. This year not much is different, club racing already, sail practice for three scout leaders and introducing a complete newbie to sailing. Do you think of your boat like this or just as an outright race machine? Maybe I will get her a Nurburgring sticker of her own! The Alto Section Mast…..Another Customer…. I understand from Sue and Peter Bannsiter at the Dinghy Show that Sue’s next birthday present is going to be an Alto section mast….. They apparently weigh about 24-25 stone between them and feel from Graham Vials comment (see last week’s blog from Graham) that it might suit them well. We had good conversation too as to whether an Alto mast alone would deliver quite a few of the benefits of the new rig design. Interesting…. I wonder if Peter is going to gift wrap it??!!….. New Logo Idea Number 1…..
We initially chose the Alto rig because we were a little lighter than the other leading teams. The Epsilon is very well proven with teams that are 27-30 stone combined, but we were approaching the worlds with crew weight nearer 25 stone. People are often too keen to follow the trend previously set within the fleet and it’s fine to use proven kit where you are the same weight as the best in the world, but it makes no sense where you are nearly 2-3 stone lighter than your competitors. I strongly believe there are advantages to sailing the Flying Fifteen with less crew weight. Downwind the performance gains are massive – and you can always gain more places downwind than you ever can on a beat. We therefore needed to choose a rig that would allow us to remain competitive upwind in the medium winds. 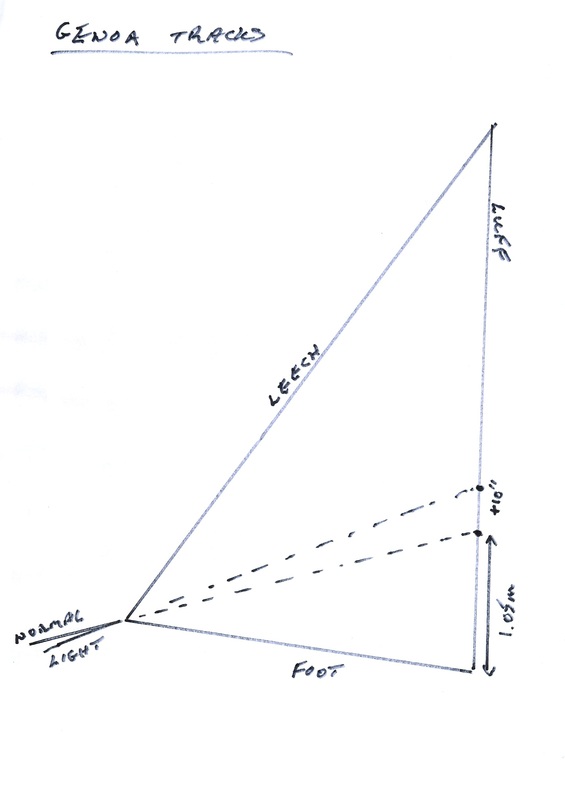 Seldon recommended the Alto mast – which is almost the same stiffness fore and aft as the Epsilon, but a little softer sideways in the top section. We rigged the new boat with the Alto, and it soon became apparent that the new mast felt very good in the boat – especially with a slightly modified luff curve by Alan Bax – which suited the Alto mast well. In theory the Alto mast should probably have been slightly slower in light to medium breezes, but we saw no signs of any decrease in performance. The mast definitely had advantages above 12 knots of breeze, where the mast becomes more responsive and the boat tends to drive forward in the gusts rather than wanting to round up into the breeze. Consequently we could sail with less weather-helm and reduced drag from the rudder. Another concern was that pointing ability would be affected by the softer mast – but this was simply not true. Once the mainsail flattens off the jib is able to be sheeted slightly harder, which retains pointing ability. We set the mast up with the same rig tension and standard P&B pre-bend, as used on the standard Epsilon rig. This provides the perfect mainsail depth in conditions up to kicker sheeting. Once the breeze increases the kicker tension would start to bend the mast and reduce mainsail depth – reducing power. The main advantage however was the responsive top mast, which automatically releases power in the gusts. Consequently the boat would almost sail itself in the gusts, with only minimal mainsheet adjustment required. New Flying Fifteen Video – Onboard for 13 minutes of Fast Planing Action!!….. When Mike Firth first set about regenerating the Datchet Flying Fifteen Fleet around 5 years ago, it had almost gone away. Now it’s jolly vibrant, and at 34 boats today one of the largest. Like many other fleets, we have our share of boats that seem unsailed, but the fleet is still pretty lively. Mike recently pointed me at a page on the Draycote website, written by the person who regenerated their Fireball Fleet. Mike said was a great inspiration….